Spring is officially around the corner. 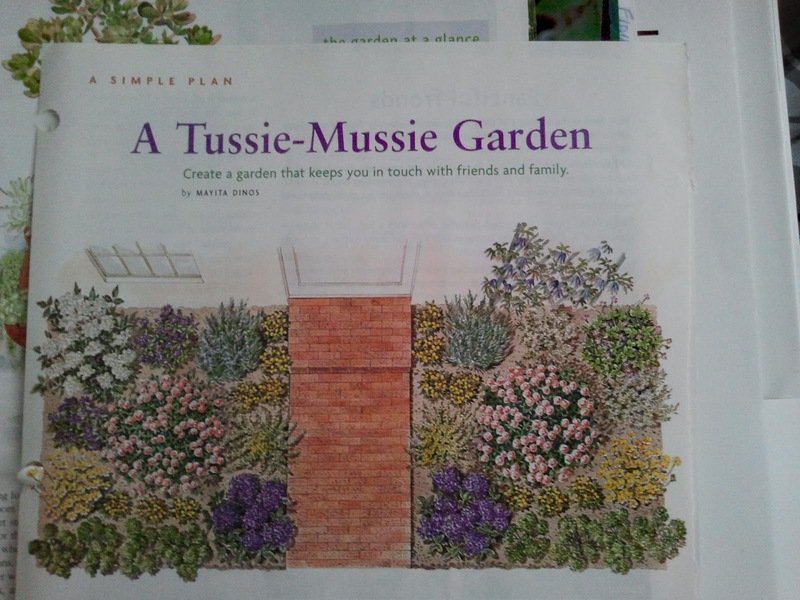 In the spirit of all our garden itchiness, I am featuring some garden plans I have collected and saved throughout the years. Today, I am going to feature a sweet little garden called "Tussie Mussie". 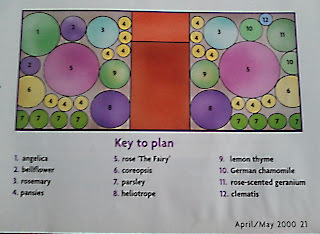 This was a plan I pulled from a great master gardener and her magazine, Rebecca Kolls (Rebecca's Garden), years ago. 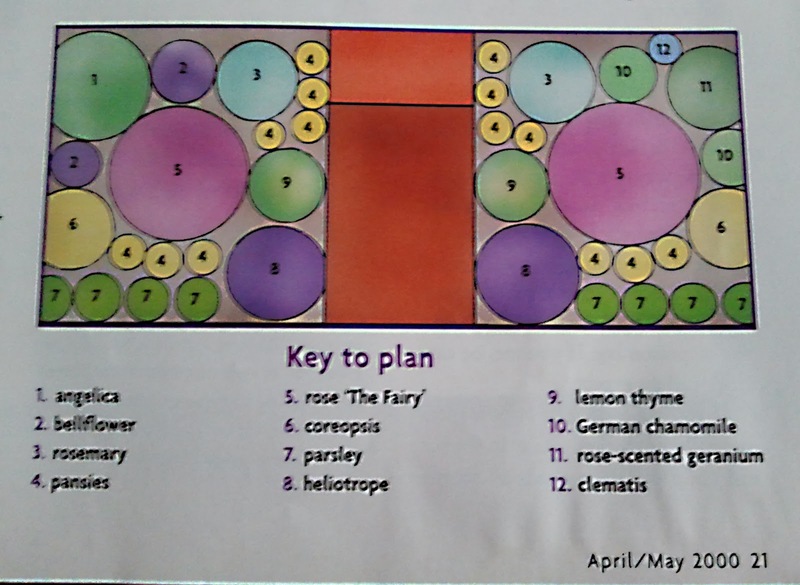 (Here is her blog) This was designed by Mayita Dinos, an award winning LA garden designer for Rebecca's magazine. This garden looked like a perfect size for a front yard foundation bed. 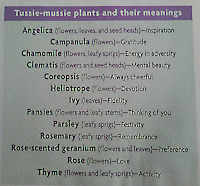 The nice thing about these flowers is that in true 16th century style, each flower has a meaning which I have included here. 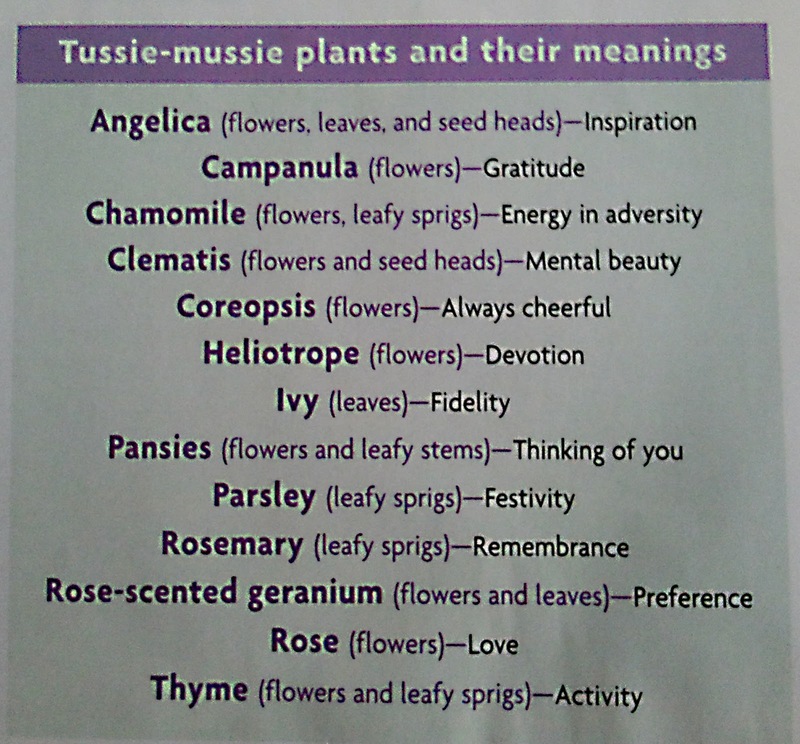 Rebecca explains that beyond the odor-purifier that a tussie-mussie bouquet was used for, it was also a coded message depending on which flowers you sent the receiver of the bouquet. This is based on 2 4 x 4 beds with a wall for a trellis for the clematis on the right side. If you don't have a wall, maybe come up with another creative structure to put back there for a clematis to climb. Happy planting!